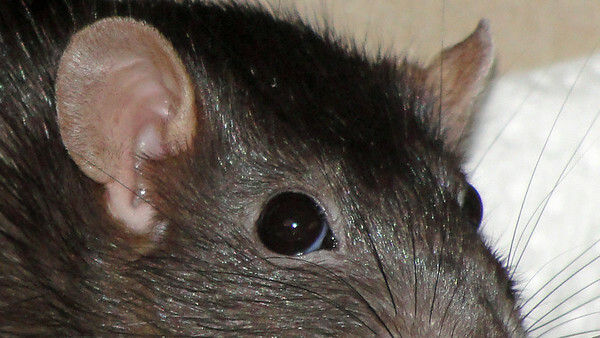 Smart rat face studies the camera. 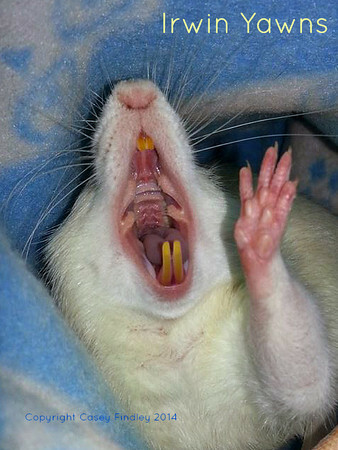 This sleeping rat is positioned to show us the palm of her hand. See that place for the thumb? 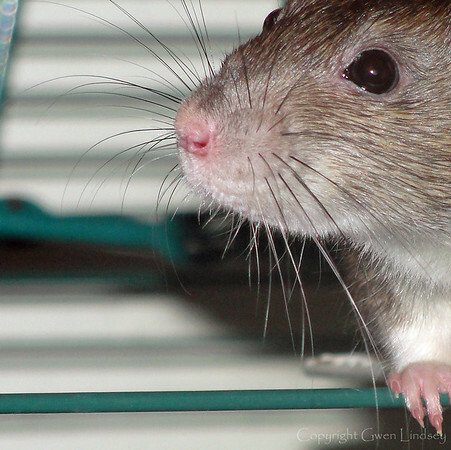 If rats had thumbs they would rule the world quite quickly. 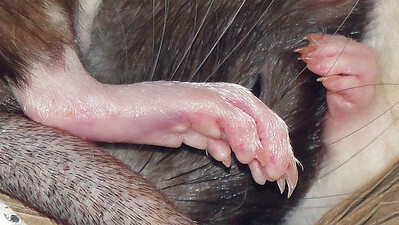 Back foot of sleeping rat. 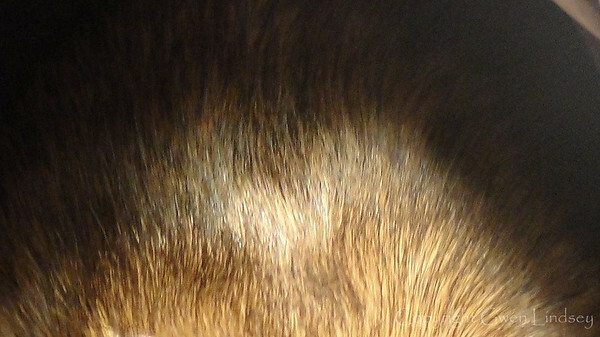 Some nails are badly in need of a trim. 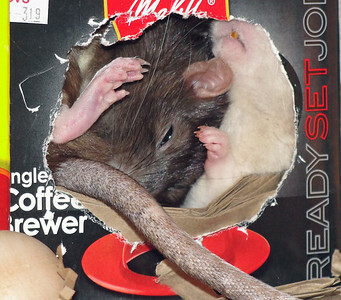 A jumble of two rats sleeping in a tiny box shows a jumble of ears, feet, hands, tails, mouths, and even healthy orange teeth. 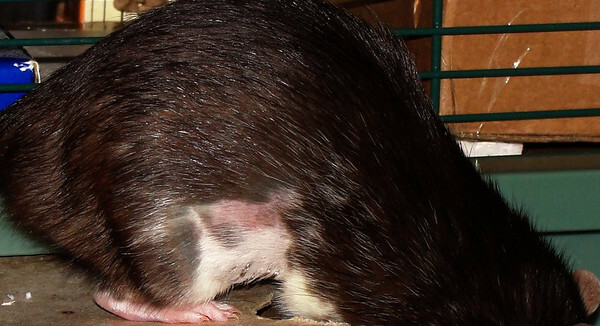 Adventurous 86-year old Chancy Rat heads off to explore the table top. 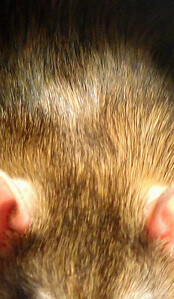 Her changing black berkshire coat shows in the bright flash. 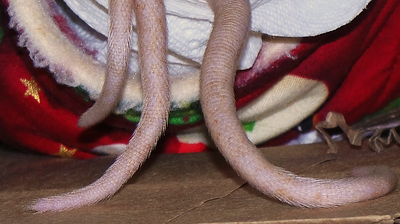 Older rats' coats will add more white, grey, and rust. Her staples from a recent benign tumor removal show at the bottom of her shaved white tummy. 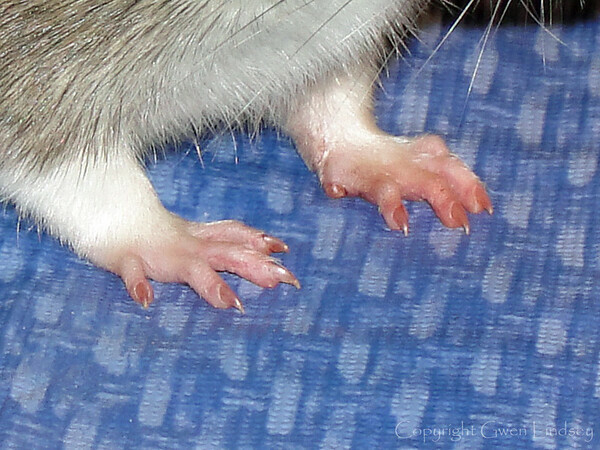 Cutie rat hands. Or feet. No, definitely hands. 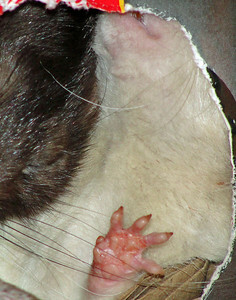 My rats are always complaining to me, "Why don't we have thumbs?" 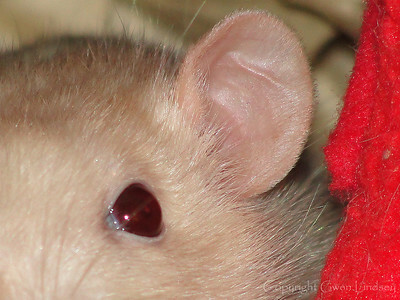 This eye of this beige-cream hooded rat looks black in normal light but reveals its ruby-ness in the camera flash. 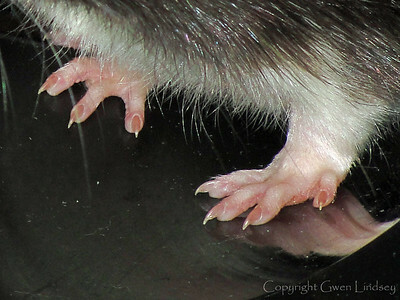 Cutie rat hands. Or are they feet? 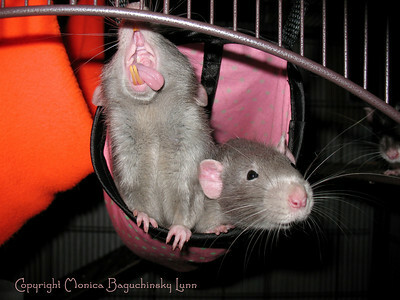 My rats complain to me, "Why don't we have thumbs?" I don't have a good answer. 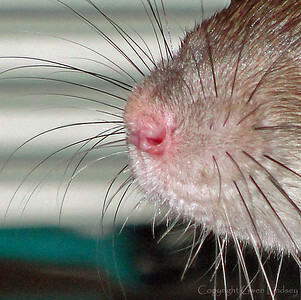 The whole rat face. Model Bonny. 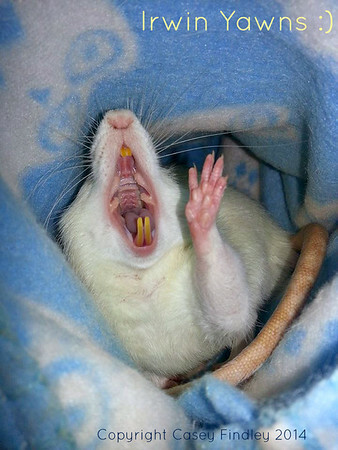 How fantastic is this photo of the sweet insides of a pet rat's mouth? We see lips and flaps and gums and healthy orange teeth, and ohhhh that amazing tongue. 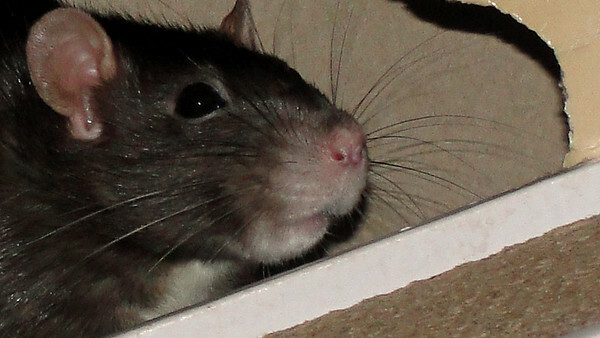 Oliver Rat models his mouth in astonishing detail as he wakes up from a nap and says hello to his human. His brother Simon is nearby, and Zack hides back in the shadows. Oliver is 5 months old (January 2011) and lives in northeastern Pennsylvania. Ollie and Simon are both extremely curious and friendly and love having attention and scritching from their human companions. Oliver's favorite human is his man human, Monica's husband, Jack. 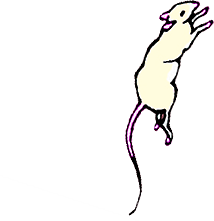 Permission to host granted to JoinRats by Monica Baguchinsky Lunn (visit her at http://www.moonpye.net). 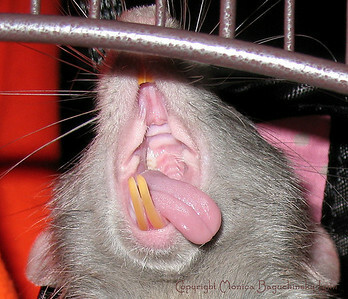 How fantastic is this photo of the sweet insides of a pet rat's mouth? 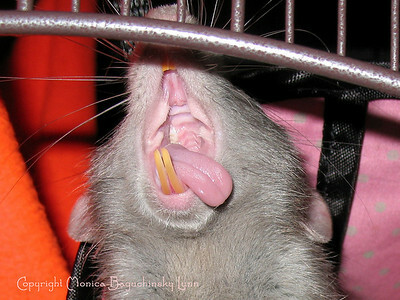 We see lips and flaps and gums and healthy orange teeth, and ohhhh that amazing tongue. 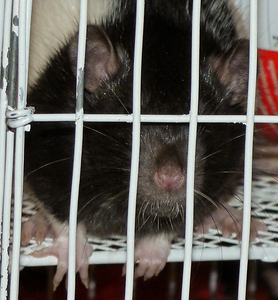 Oliver Rat models his mouth in astonishing detail as he wakes up from a nap and says hello to his human. Oliver is 5 months old (January 2011) and lives in northeastern Pennsylvania. 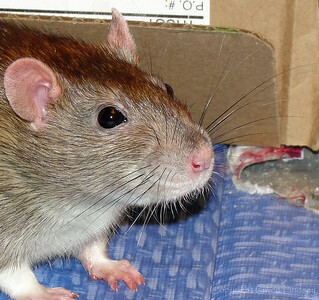 Permission to host granted to JoinRats by Monica Baguchinsky Lunn (visit her at http://www.moonpye.net). 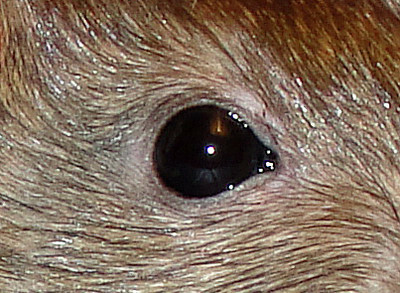 Black berkie ears, eyes, whiskers. 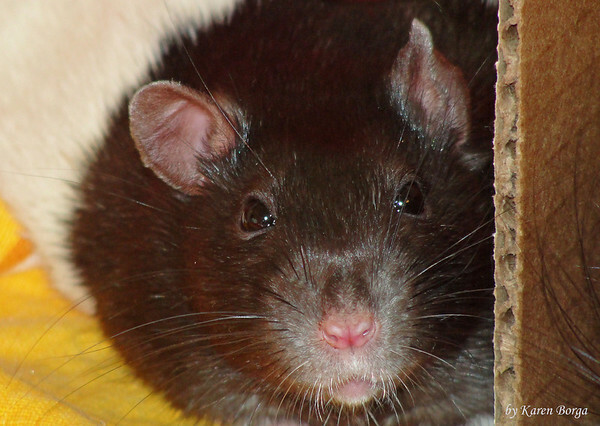 Agouti colorcoat, black, brown, grey. 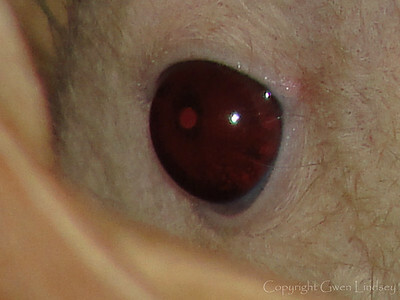 The black eye of this agouti berkshire rat shows as black in the camera flash.